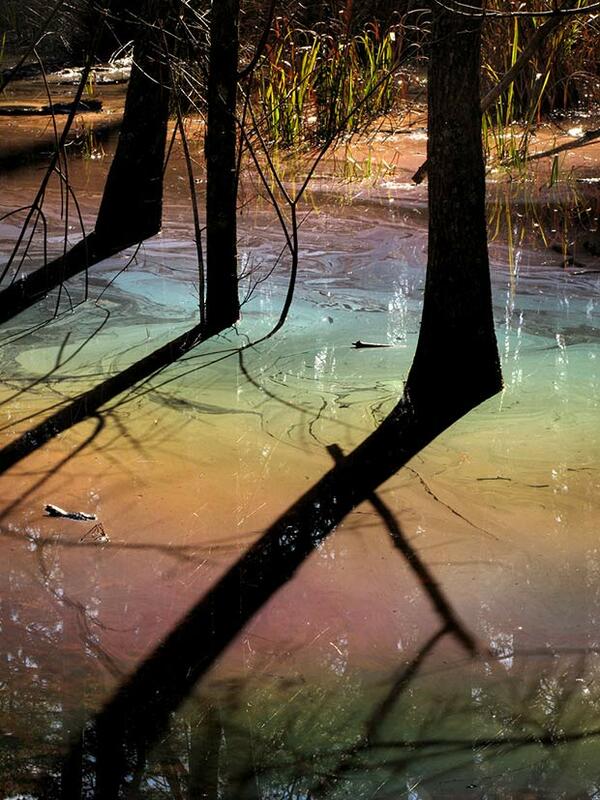 On a particularly sunny day in the early weeks of January, photographer Jessica Hines noticed something peculiar happening in the swamp near her house. 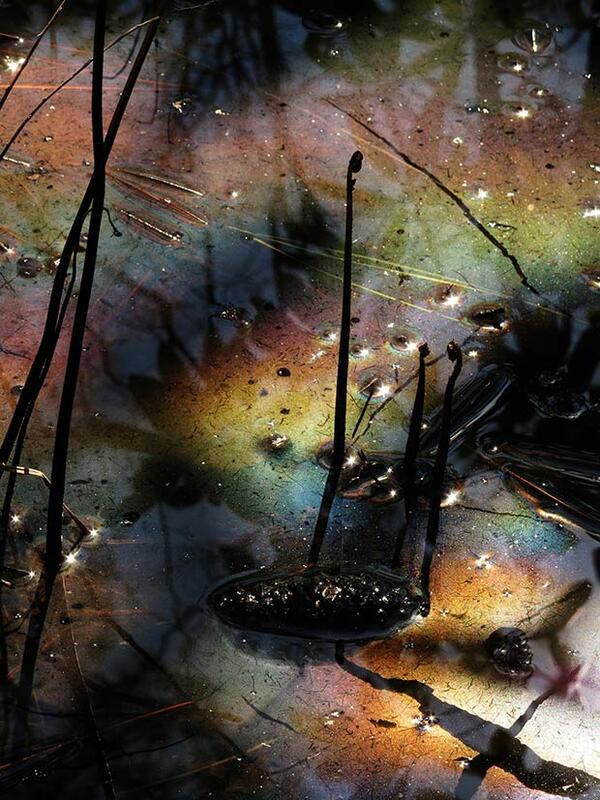 Due to the suns reflection on the water and a natural combination of plant oil and pollen, an intense spectrum of rainbow colors appeared on the entire surface. After photographing the colored swamp from the waters edge and loving what she captured, Hines purchased a pair of chest-high waders the very next day so she could get an even closer look. 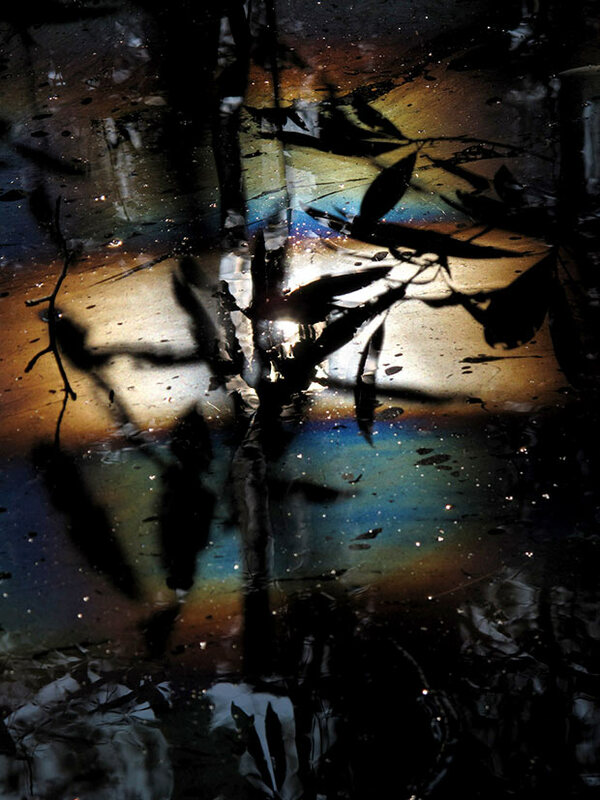 The result is an abstract and otherworldly photo series titled Spirit Stories. By springtime the color faded to silver, and Hines had become fascinated by the way light and shadows move across the water. 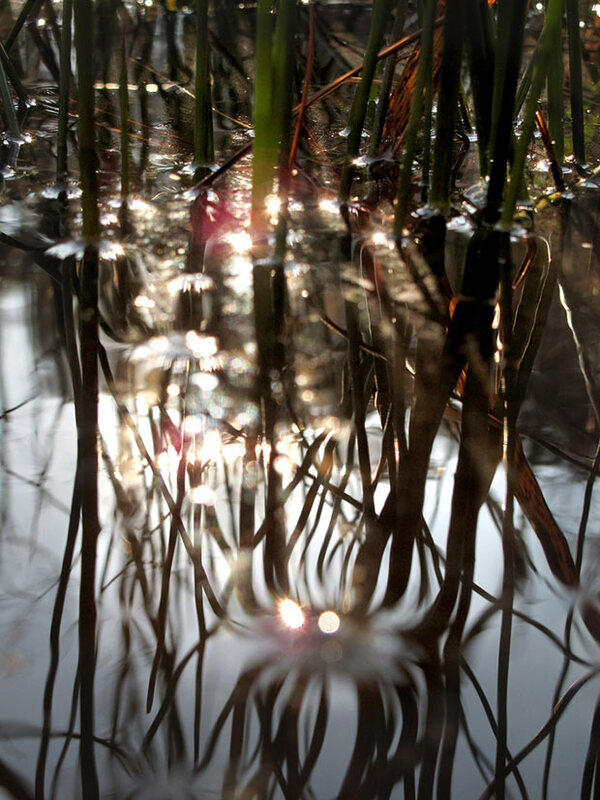 Wading quietly in the swampy water and taking notice of natures tiny details – small green water plants emerging in spring, leaves returning to the trees, subtle evidence of an animal’s presence – Hines describes it as a meditative experience. 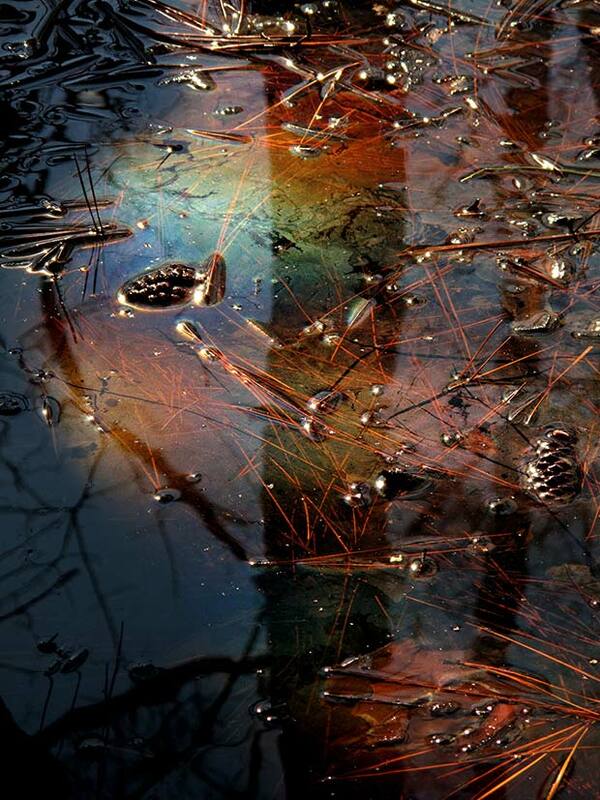 When Hines spends time alone photographing in the swamp she describes a feeling of being ‘tuned in’ and acutely aware of her natural surroundings. 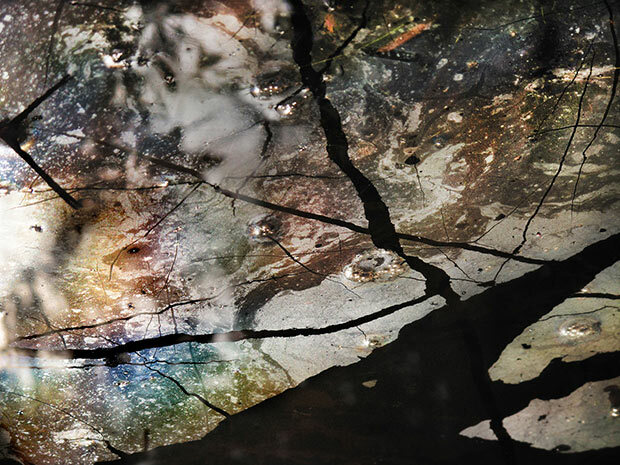 The abstract images her camera captures are not the reality of what her eyes and mind sees. 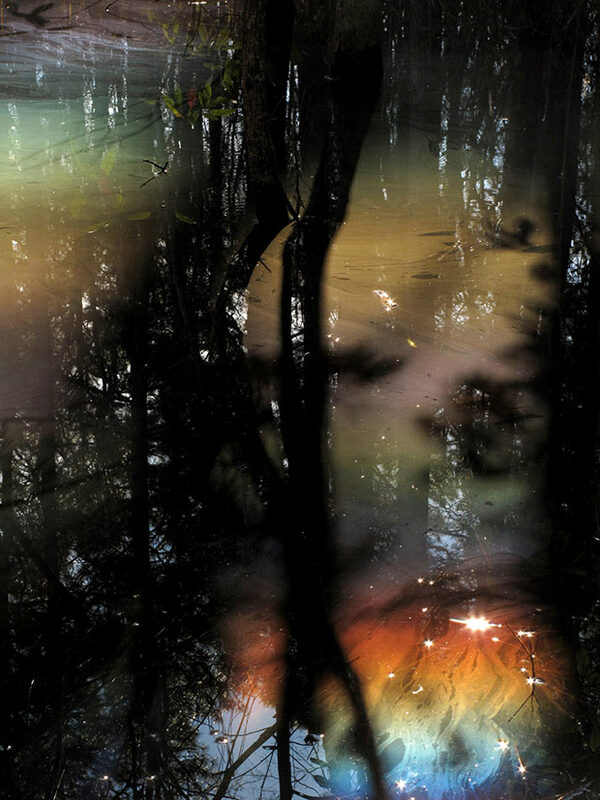 She is photographing a hidden dimension or spirit of this natural world – which is why she titled the series Spirit Stories.